I used the Scandinavian Prints stamp set and dies by Neat & Tangled. It's a very unique set with basic shapes and prints that you can use in so many different combinations. I love it when you can really stretch a stamp set and get more bang for your buck. 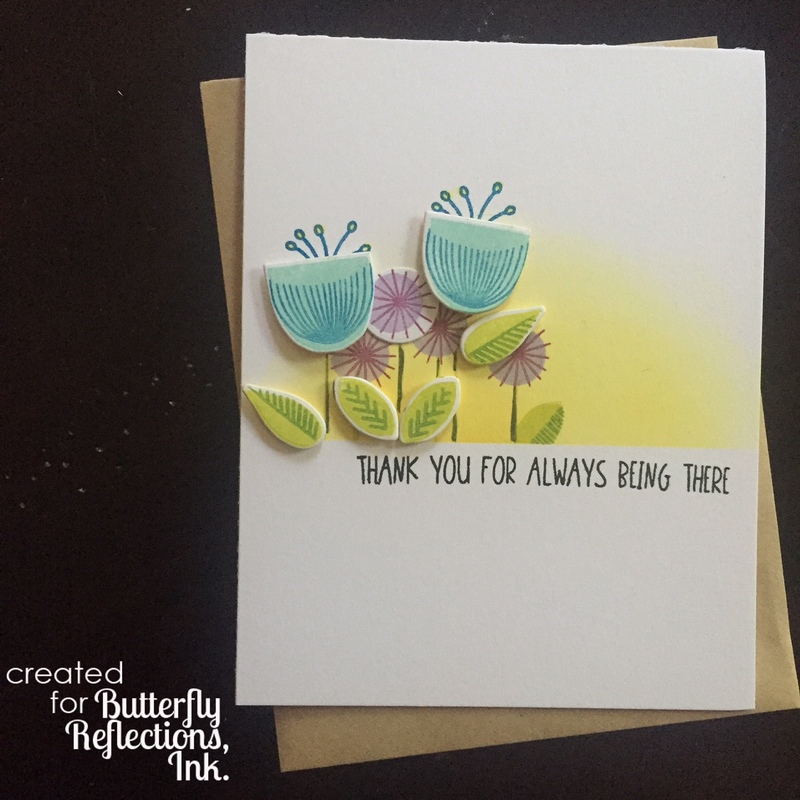 For this card, I arranged the flowers by either stamping them directly on the card base, or stamping/die-cutting and popping them up on foam tape. And, for the next card I combined the flowers with the Yippee Word Die by Waffle Flower Crafts. I die cut the word three times and glued them on top of each other to make a thick element for my card. I loved these cards ! Beautiful way to use smaller stamps ..
P.S Can anyone have enough flowers stamps ;? ?